​Hosea earned a B.S. in Chemistry from University of California at Berkeley in 2004 and a Ph.D. from the California Institute of Technology in 2012 with Brian Stoltz. 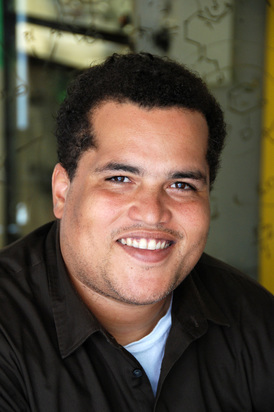 After postdoctoral training at University of California at Berkeley with Dean Toste, Hosea joined the UCLA faculty in 2015. He is an avid fisherman and motorsports enthusiast (there are even pictures of him on the web wearing a NASCAR hat). Like most native San Franciscans, he spends most of his time talking about how much he loves the Giants, hates the Dodgers, and how much better S.F. is than L.A..
Brian was born and raised in Alhambra, CA. After receiving his B.S. 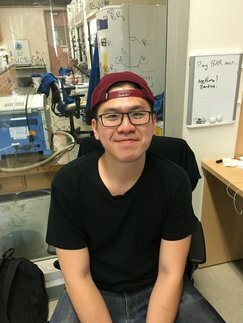 in pharmaceutical chemistry at UC Davis, he decided to throw away his free time and hobbies to slave away in the Nelson Lab. Before joining, he liked to go to the gym and play StarCraft and CS:GO at home. Roy was born in New Jersey, raised in Taipei and eventually ended up in UCLA for his undergraduate studies. 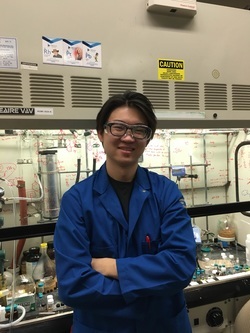 After receiving his Chemistry degree at UCLA, he volunteered at the Nelson lab during his gap year. Eventually, he got admitted into UCLA graduate school and decided to continue working for Prof. Hosea Nelson. In his free time Roy likes to play basketball and watch sports.